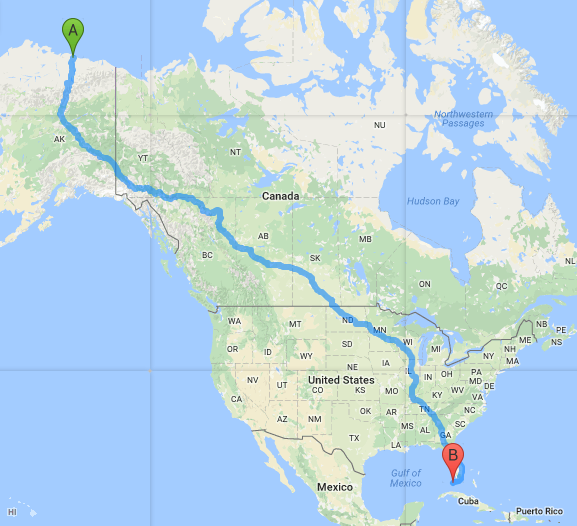 The Ultimate coast to Coast Challenge is a motorcycle ride from Key West, Florida to Deadhorse (Prudhoe Bay), Alaska--or reverse. The time limit for this ride is less than 30 days. The Ultimate Coast to Coast to Coast Insanity is back-to-back rides of the Ultimate Coast to Coast Challenge. Special rules apply to back-to-back rides. See here. 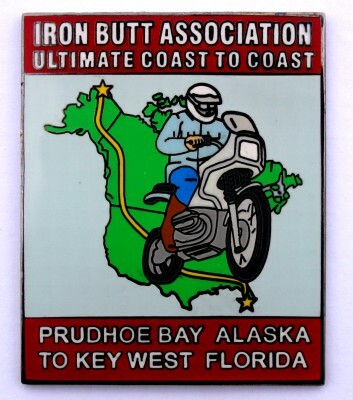 Read the rules for the iconic SaddleSore 1000 on the Ironbutt Association site. The rules for this ride are similar and you will get valuable background information. A DBR is a machine generated receipt with the date, time and LOCATION on it. Check it - do not assume it is correct. A receipt with an incorrect time/date/location is worthless. Check and re-check. You must ride the same motorcycle for the entire trip. You must obtain DBR every 350 miles. You may take any route you like. Your official time is determined by the starting and ending receipts. PLEASE check these documents and make sure the clock and date are correct! Spotwalla.com is strongly recommended but not required. Remember it is YOUR responsibility to prove you visited all required stops in the required order. Spotwalla goes a long way towards this proof.